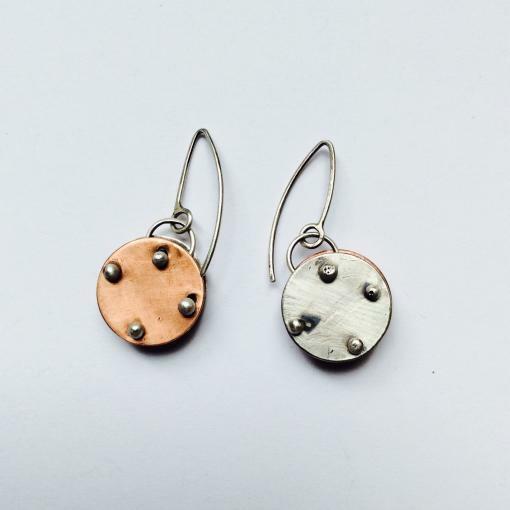 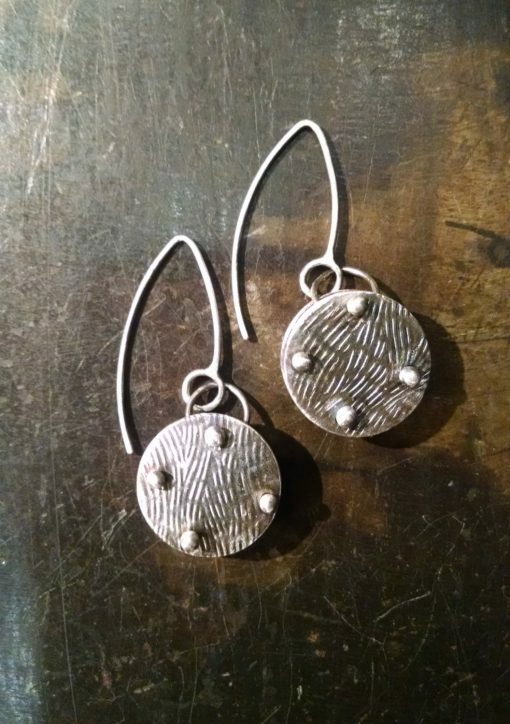 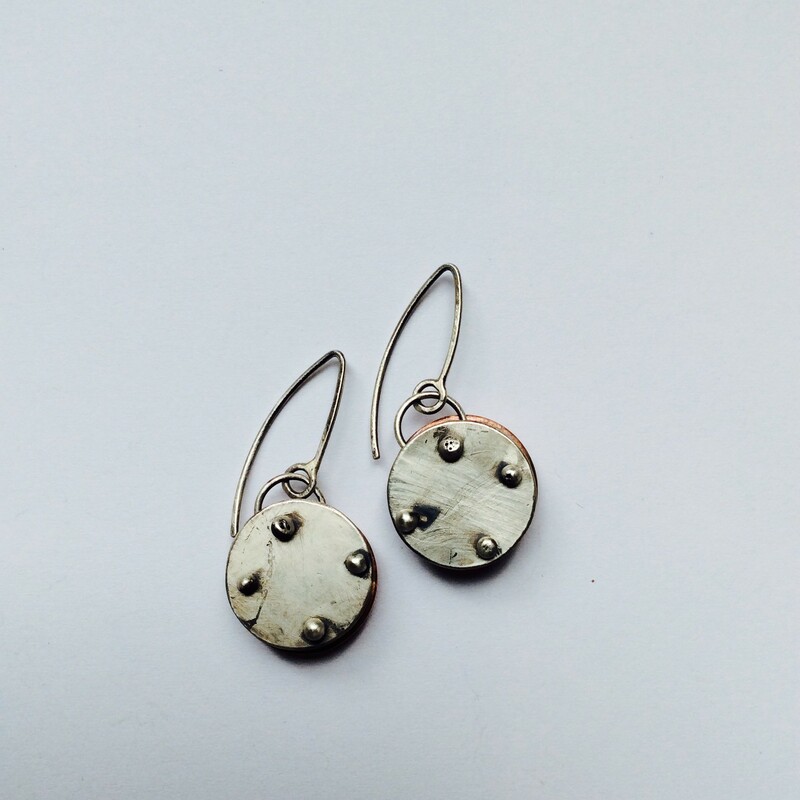 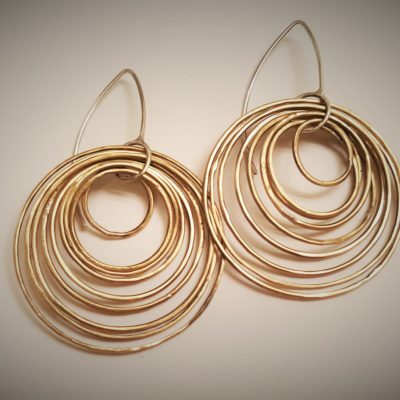 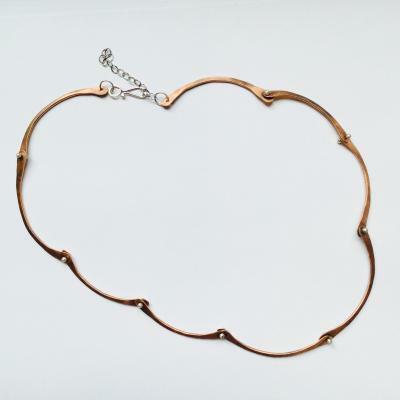 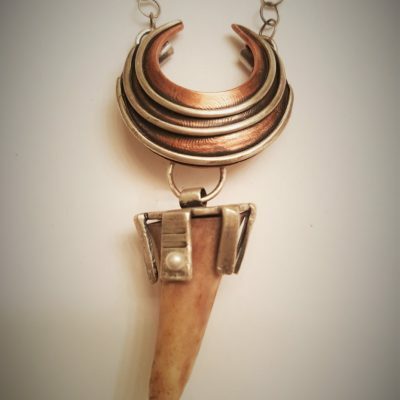 The name says it all… textured copper riveted together with sterling silver to make space ship earrings. Formed, drilled, soldered, fused, riveted, patina, lacquered. 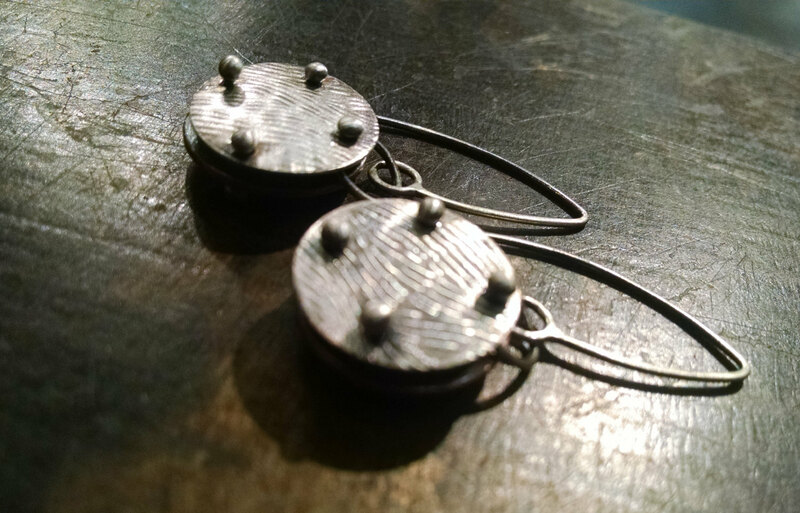 The discs are approximately 3/4″ in diameter.